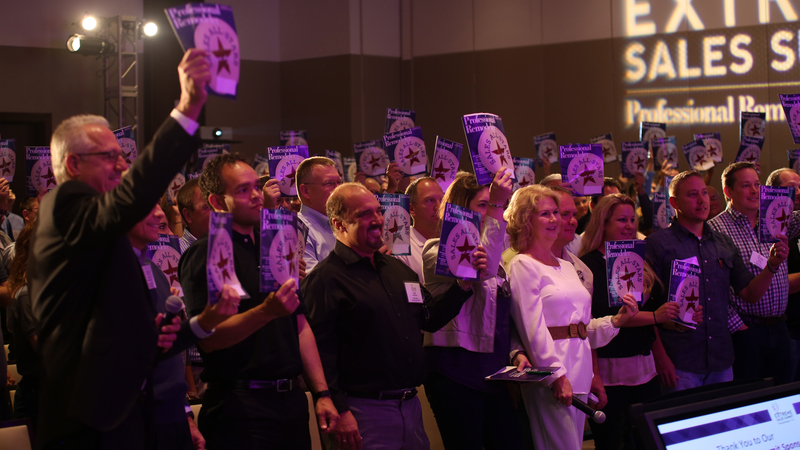 To see more top 100 products in other categories, click here. AGS Stainless’ Elliptical Handrail is a hybrid of the company’s flat- and round-profile handrails, designed to combine the comfort and security of the round handrail with the style of the flat. 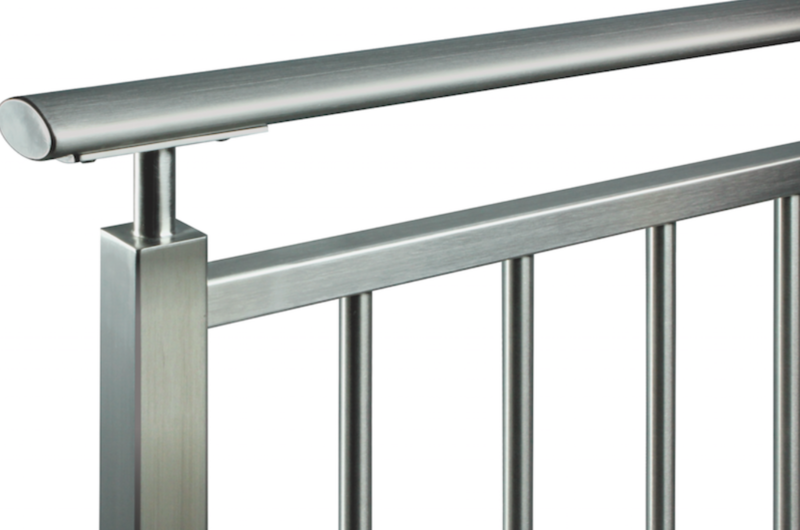 The handrail comes in three finishes—brushed satin (shown), passivated, and polished—with customized color options available. 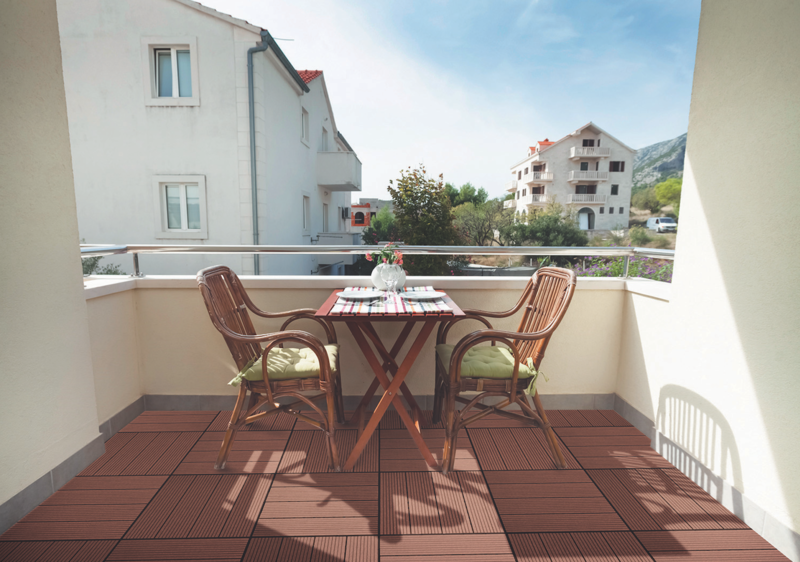 Vault Hickory composite decking, a light brown hue with natural wood-tone variegation, joined the Deckorators family this year. 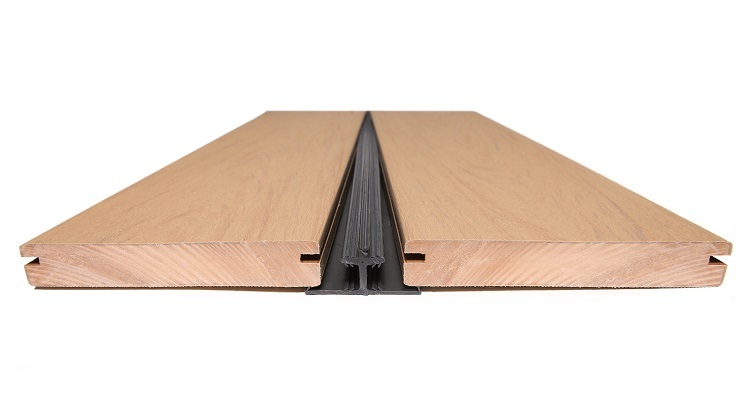 It comes in 12-, 16-, and 20-foot solid and slotted-edge profiles, as well as fascia. Like Mesquite and Dusk, Vault Hickory is a durable, ultra-low maintenance product backed by a 25-year removal-and-replacement limited warranty. 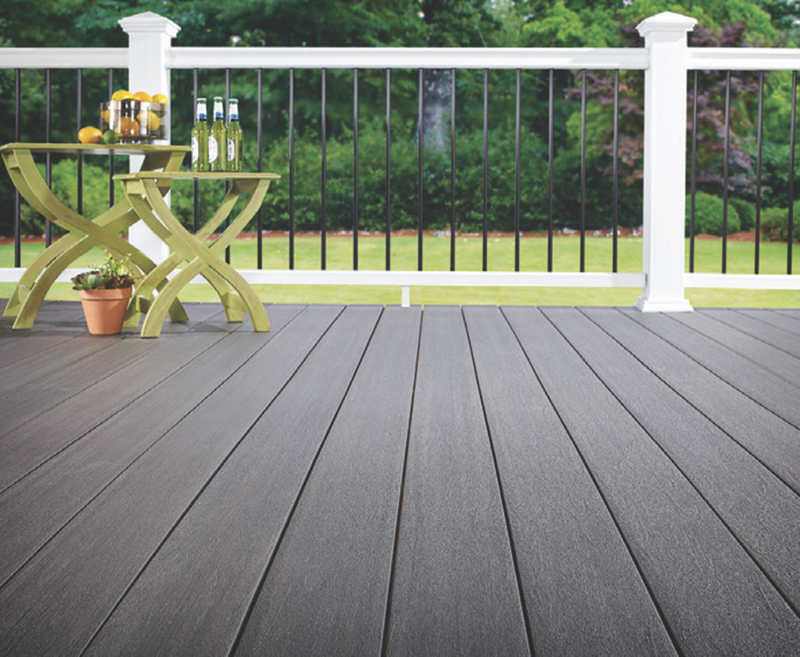 Fiberon Symmetry Decking now comes in Graphite, a medium-toned gray, as well as Burnt Umber, Cinnabar, and Warm Sienna. 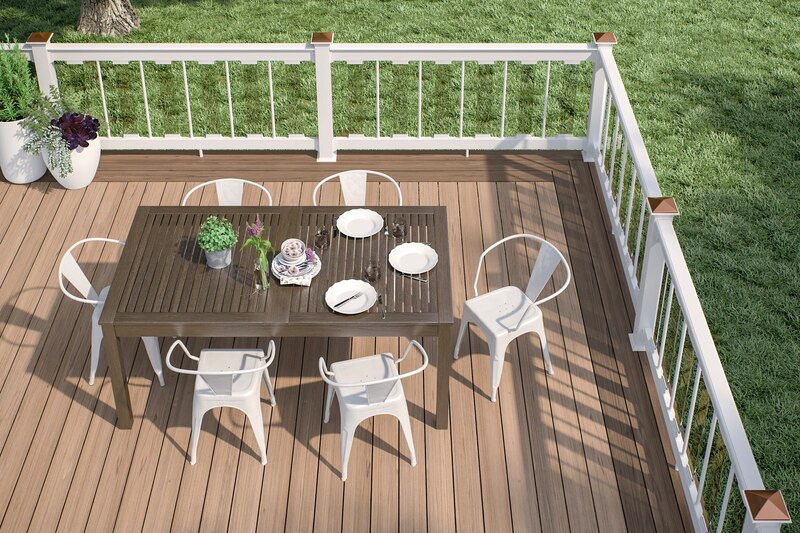 Like all Symmetry Decking, the new hue features a matte finish, multi-tonal streaking, and random grain patterns that look natural, not manufactured. The patented PermaTech cap layer on all four sides provides stain and fade resistance. The solid composite core resists splintering, cracking, insect infestation, and decay. 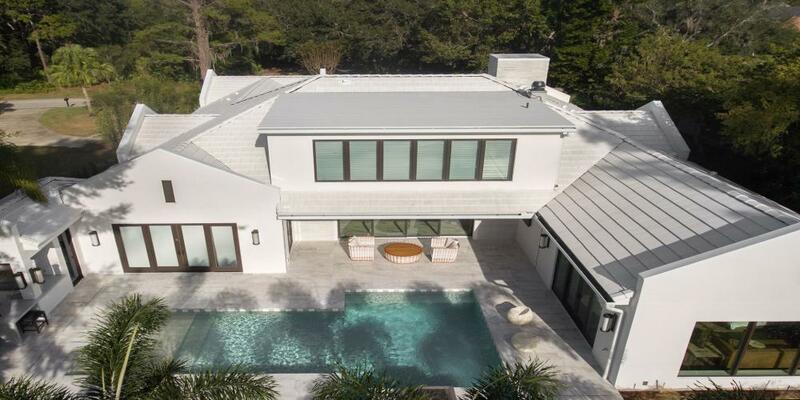 Cali Bamboo’s new Bamboo Composite Deck Tiles are easy to install: just drop and lock into place to give balconies, patios, and existing decks a new look. The top planks consist of 60% reclaimed bamboo fiber and 40% recycled HDPE plastic. The easy-to-clean, splinter-free surface resists rot, moisture, chemicals, and insects while the extra-heavy-duty base is made of 100% recycled polypropylene. Tiles come in caramel (shown), charcoal, slate, and coffee, with a matte finish. Fastendry by Deckorators fits snugly into the slotted edges of the company’s 12-, 16-, and 20-foot deck boards and has an integral flange that can be pneumatically nailed to serve as a hidden fastening system. The result is a dry-deck system that can create additional living space or storage under a deck. Fastendry sits about 3⁄16 inch below the decking surface, so from above, all that will be seen is a regular deck. Impression Rail, an aluminum railing system for decks, launched in 2015. Now AZEK Building Products’ AZEK and TimberTech lines offer a new textured Bronze color option for Impression Rail, joining its original textured Black. 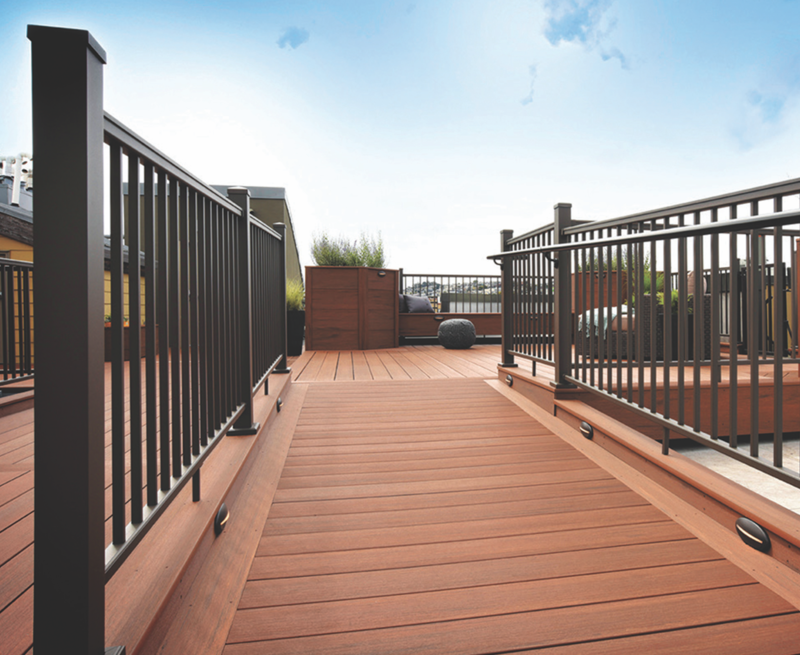 The railing system’s low-maintenance, powder-coated aluminum profile is engineered for strength, security, and aesthetics, and can be paired with AZEK or TimberTech’s broad palette of deck colors. Impression Rail comes in 36- and 42-inch heights with a 25-year limited warranty. To see 2017's top Decks & Porches products, click here.